Edinburgh is a modern city that is immersed in millennia of history. The capital of Scotland with a huge collection of buildings with historical meaning, there are museums, theaters and galleries, each one with it’s own little slice of history. 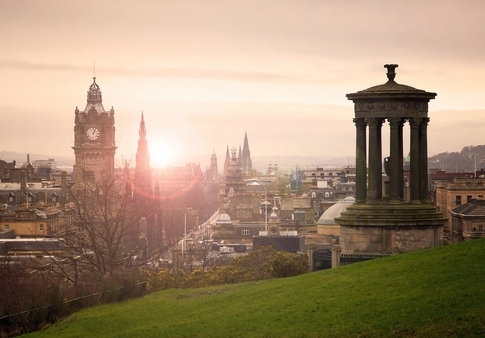 Read on to learn more about why you should study in Edinburgh. Visitors to Edinburgh will be immersed in a rich depth of history unmatched by other cities. While there are fabulous museums and other points of interest, many students find that simply wandering around Edinburgh’s old streets, getting lost, and meeting locals offers up rich reward. Small enough to navigate on foot yet large enough to have everything that you could possibly need, Edinburgh is truly an amazing place to study abroad. 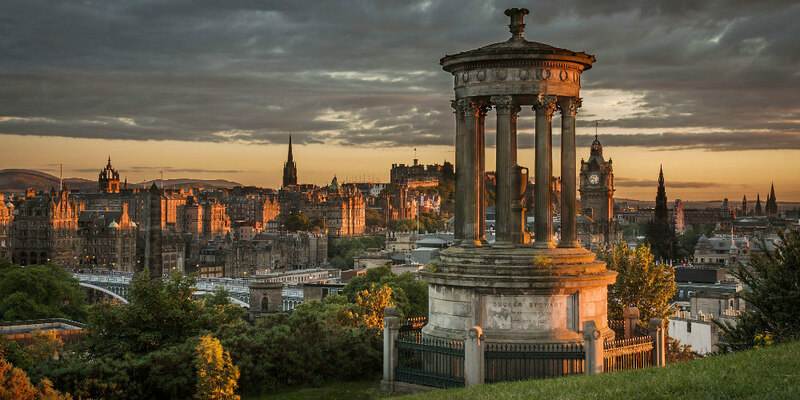 Regularly voted as one of the United Kingdom’s favorite cities by the Guardian and the Observer newspapers, Edinburgh was also declared a Literature city by UNESCO. Edinburgh Castle is one of the most beautiful, and most famous castles in the UK. Edinburgh is home to Scotland’s parliament, which still has some authority even though Scotland is part of the UK. The city is also home to the University of Edinburgh. This university has nurtured great minds, who went on to make great strides in the world. The city is a place of stunning contradictions. You’ll find historic pubs that have been family-owned for centuries, alongside ultra modern clubs. As a student in Edinburgh, you will enjoy many different kinds of restaurant and cuisine, with options ranging from Michelin Star to budget choices. The city also offers shopping options designed to meet the demands of a high-end market as well as those on the lower budget price. If you’re not taking tours or enjoying the various restaurants, visit the museums for a taste of the city’s history. The city has a wide range of festivals that occur throughout the year. The most famous of which is the Edinburgh Fringe Festival, which takes place during August each year, and is the largest event of its kind in the world. See performances and street comedy from around the world, while mingling with crowds of revelers. The city also hosts an annual Military Tattoo. Highlights of the tattoo include military bands and demonstrations from around the world, all set in the incredible backdrop of Edinburgh Castle. The city looks forward to holidays like Christmas and New Year’s events to come alive with decorations and events meant to get everyone in the city in a holiday spirit. If you think you might like to study in Edinburgh, there are two universities that you can consider, The University of Edinburgh and Heriot-Watt University.